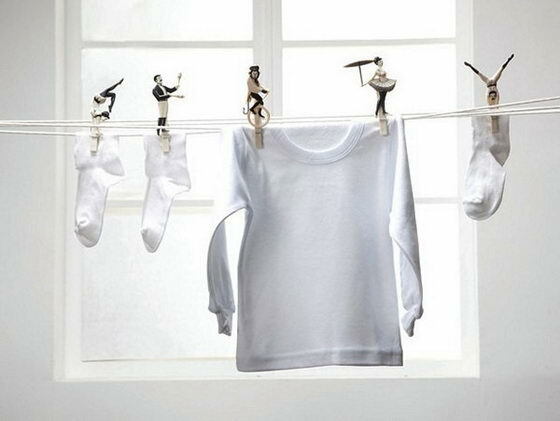 Not sure how many of you still hang up your laundry to dry. 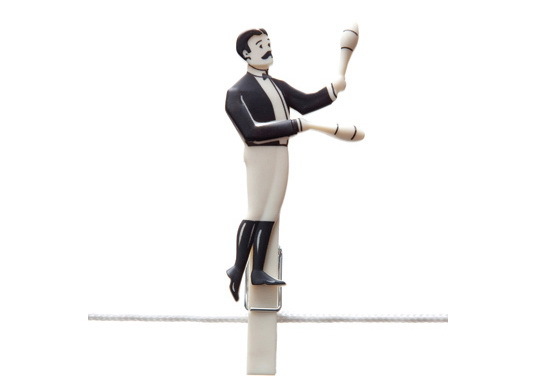 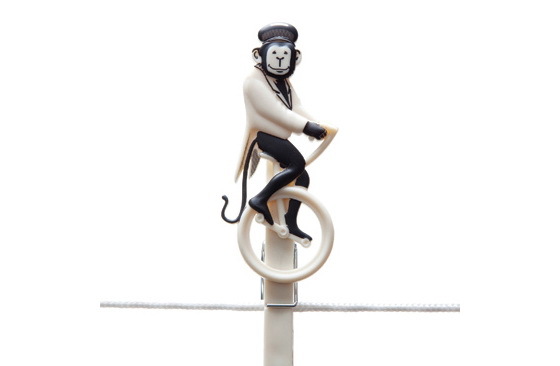 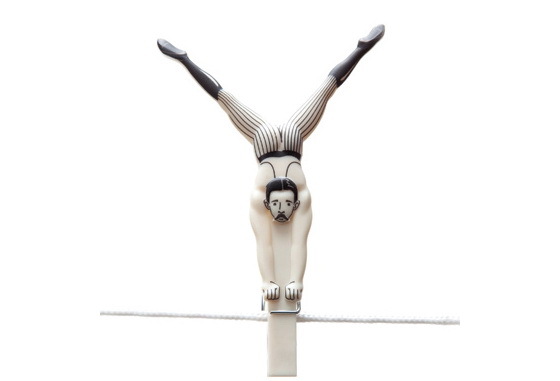 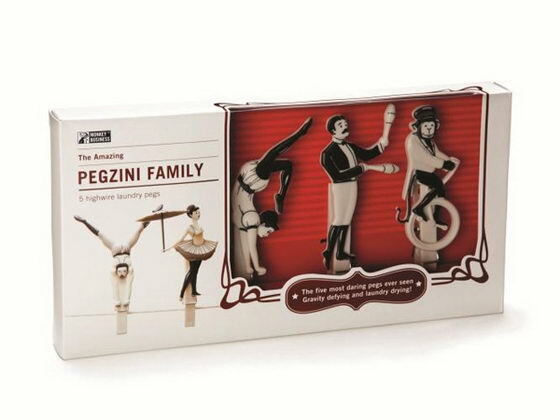 But if you do, then you might like this 5-piece set of laundry pegs which feature a vintage circus family performing high-wire tricks. 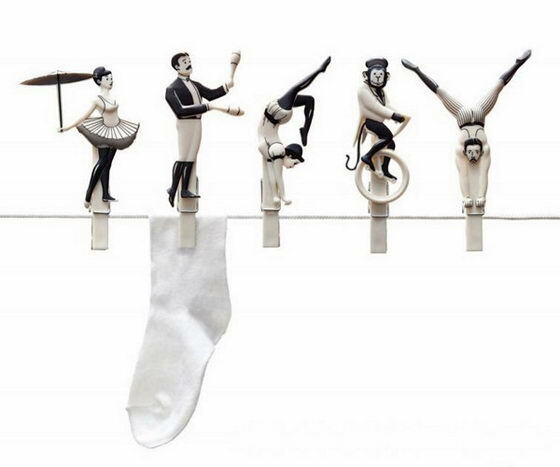 How amazing to see some acrobats doing tricks on your clothes line? 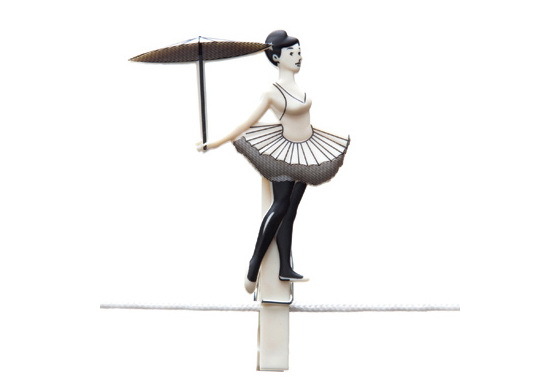 And I think it will also look better with anything needs to be hung, such as photos and notes. 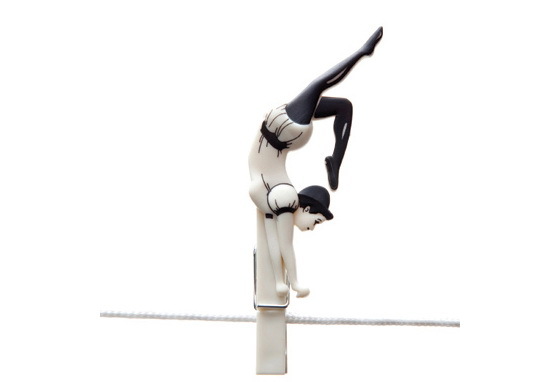 This cute product is currently available to purchase from Amazon.